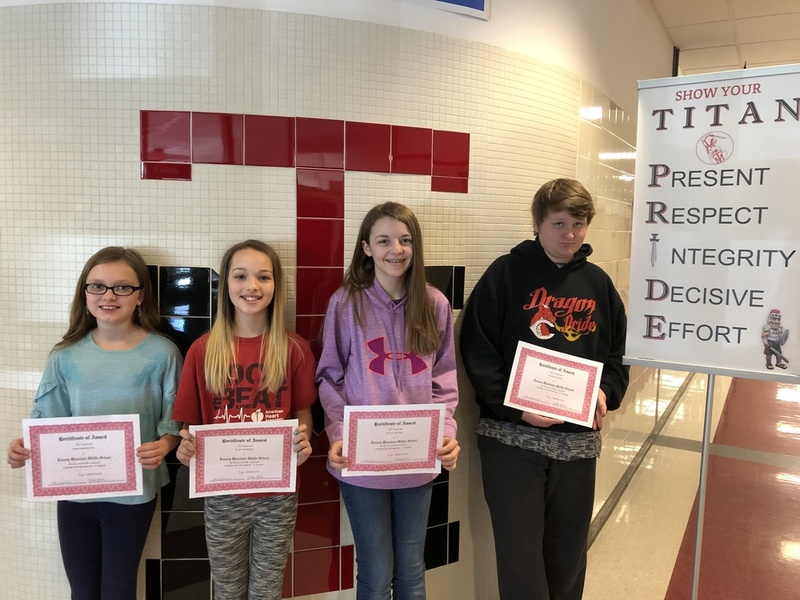 The following students from Tussey Mountain Middle School have been nominated by the faculty and staff as March’s Student of the Month. Students are nominated for positive contributions to the school, personal improvements, and accomplishments. From left to right: Lydia Fahnestock is in 5th grade and is the daughter of Robert and Lana Fahnestock of Saxton; Ellie Cornelius in 6th grade and is the daughter of Eric and Stacy Cornelius of James Creek; Kaylin Witters is in 7th grade and is the daughter of Robert and Angela Witters of Cassville; Colton Butler is in 8th grade and is the son of Eric Butler of East Freedom and Nykki Scheffey of Robertsdale.